Inuyashiki imo is amazing and I love it, I dropped juni Taisen, never gave Dies Irae a chance because I heard it was horrible. King's Game will probably be dropped love the opening tho, I'm the type of person who will listen to any song genre as long as it sounds good beat wise. My guilty pleasure one was the little sister one forgot the name, now don't get me wrong I only find it fun to watch but that first 1-2 minutes of episode one freaked me out and I know for sure I'm in a list now lol, those 1-2 minutes almost made me drop it... I couldn't stand Ero Manga sensei which if I'm correct is the same author for this one so I'm not sure why I like it. Like I said it's a fun watch has some funny moments. Maybe I like it cuz he doesn't actually have a sister so I'm ok with it. This is my "cute" anime of the season. I don't think it can fill the void New game left, but it's good. never gave Dies Irae a chance because I heard it was horrible.. I hear the visual novel is good. I'll try it if they ever put the separate parts on sale (the common route is free to play). @terrence It's visually bad and really alienating non reader. That's the 0 episode though. I've read common route and some thing still lose me watching that episode. Food that makes your clothes rip off, who doesn't love it? The intensity picks up a bit more this season. Souma's design changes a bit to make him older, which I don't exactly dislike. Fun and adventurous. Keeps me rejuvenated. Dead, Dead, and Dead. My friends are dead. Good NTR? No. Death Games really show you what humans do under pressure. It's okay for my tastes. I couldn't stand Ero Manga sensei which if I'm correct is the same author for this one so I'm not sure why I like it. Im watching quite a few, but Girls' Last Tour is something really special. @myskaros oh I wasn't sure. IMOUTO SAE IREBA II IMO is a really fun watch like I mentioned before and that's probably because the mc doesn't have a actual little sister. Also the characters all seem to be very mature XD . It's my guilty pleasure of this season. My favorite tho so far is "Just because" well just because. I love slice of life anime, they are very relaxing to watch and just plain out enjoy. I love action anime but the cliffhangers kill me 😵 . i also like the magus' bride one since it's slow paced as well. @myskaros that's probably because the mc doesn't have a actual little sister. Is this a spoiler? I mean, I wouldn't be surprised if he has a secret immouto. I'm rooting for the brunette! I think I'll wait until the books are released stateside to get back into the series though (Yen Press licensed them). @terrence I'm with the same ship XD . I feel like it has a chance. 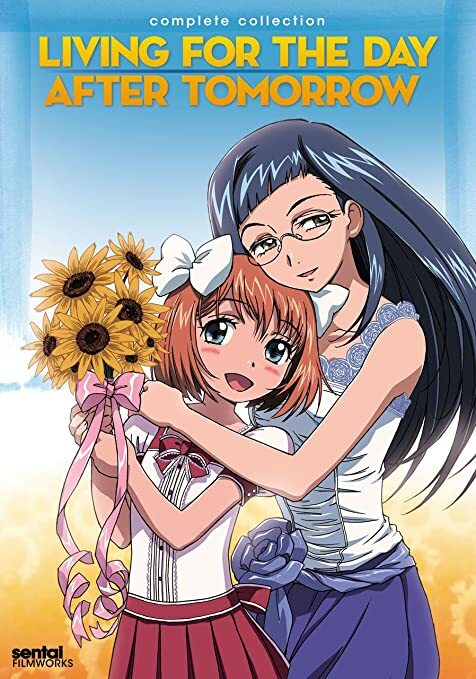 The cover for the first volume is this. Usually if there's a predetermined winner, they get volume 1 cover status by themselves or are bigger / closer than the other gal. These two are pretty much on the same plane. Also, the two women are friends, and the neko like girl Nayatu seems grateful just to have the company and support of the two. If she knew her friend was interested in the MC, I think she might try to help her get together with him (I'm basing this off the first two episodes; maybe she goes Yandere later, lol). Edit: I picked this up from the library. Don't know too much besides it seems like a "Big" scenario. @terrence I hope you are right XD . Since it's halloween, I decided to watch a couple episodes of School Live today. It will never be the same as the first time I watched it, though. Inuyashiki is such a crazy fast paced anime I'm freaking loving it. Definitely one of my favorites of the season.